This march is organized by L214 and 4000 people participated. 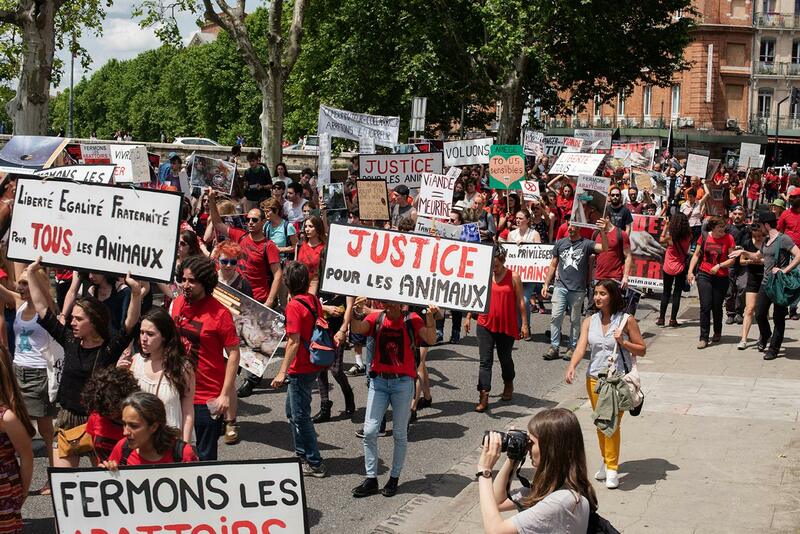 This march is organized by Mouvement pour le cause animale and L214 and 500 people participated. This march is organized by Fine dello Specismo - Azione Mondiale and 200 people participated. 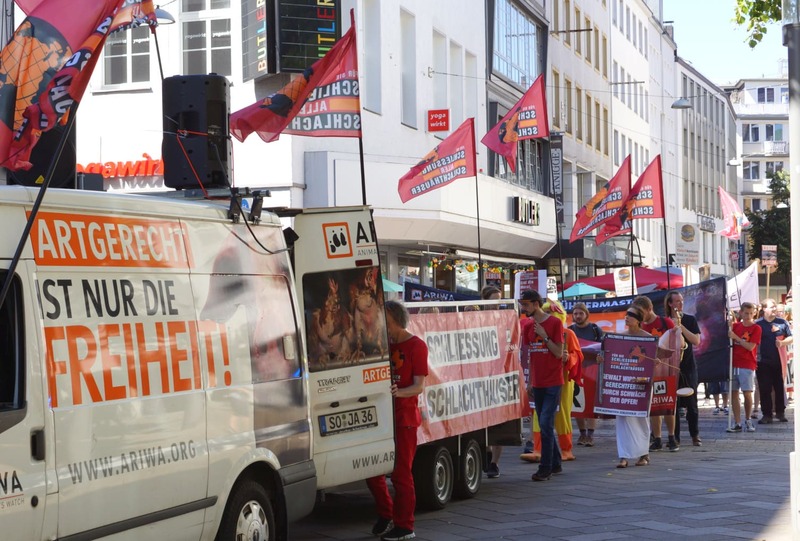 The Hannover march was organized by Animal Rights Watch for the second time and gathered about 280 people. With regard to contents it set a focus on animal rights and human rights being part of one and the same fight. 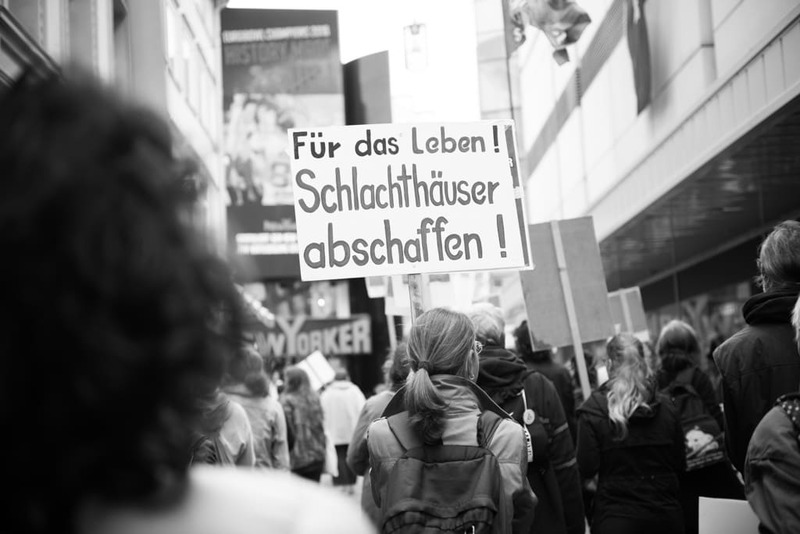 The fight against climate change was also adressed as the end of the march was the start of the Silent Climate Parade Hannover. 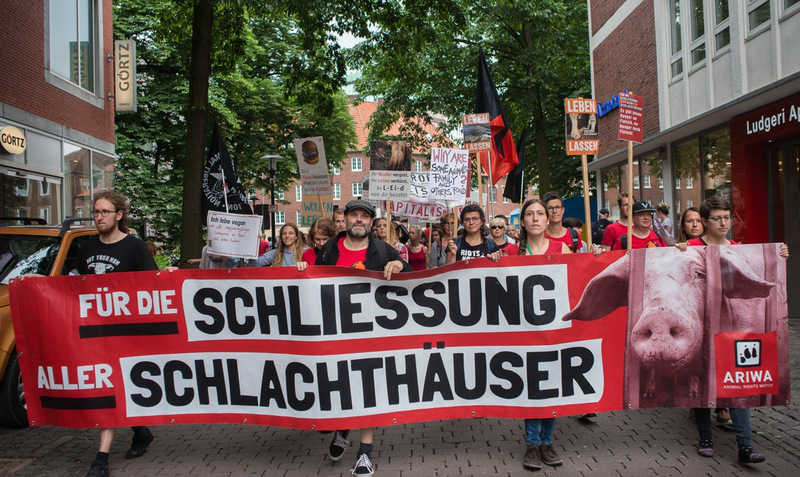 A march was organized by Animal Rights Watch for the first time in Münster, after the same team organized a march in Dortmund in 2017. There was a stationary vegan demonstration leading up to the march. About 170 people participated. As all German marches in 2018 it focused on chickens, as the demand for their meat is unbowed. 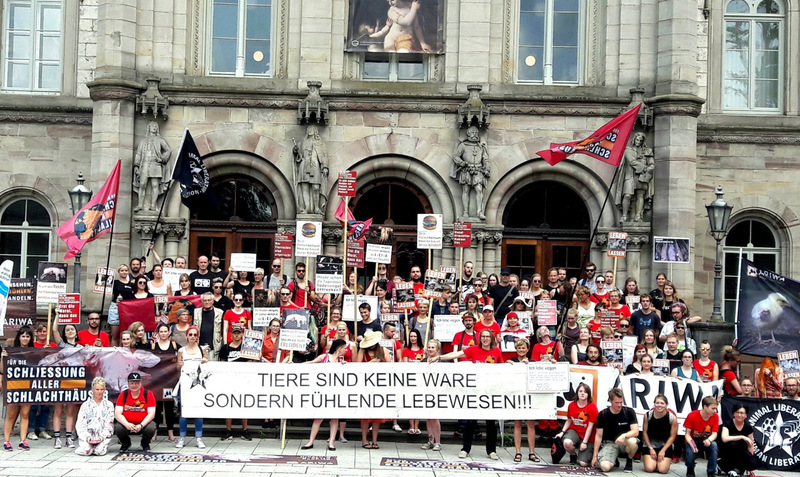 After a march to close down all slaughterhouses was organized in Kassel, Germany, since 2014, in 2018 it was moved to the nearby city of Göttingen where about 150 people participated. 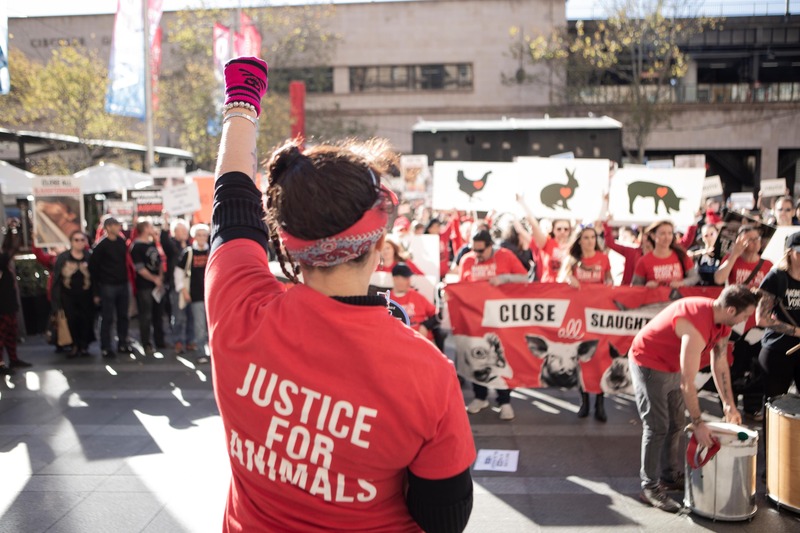 The march was organized by Animal Rights Watch and contained lots of smaller actions with costumes, placards or videos, as well als speaches in multiple languages. The Braunschweig march was organized by Bündnis für Tierbefreiung Braunschweig for the second time. 35 people participated. 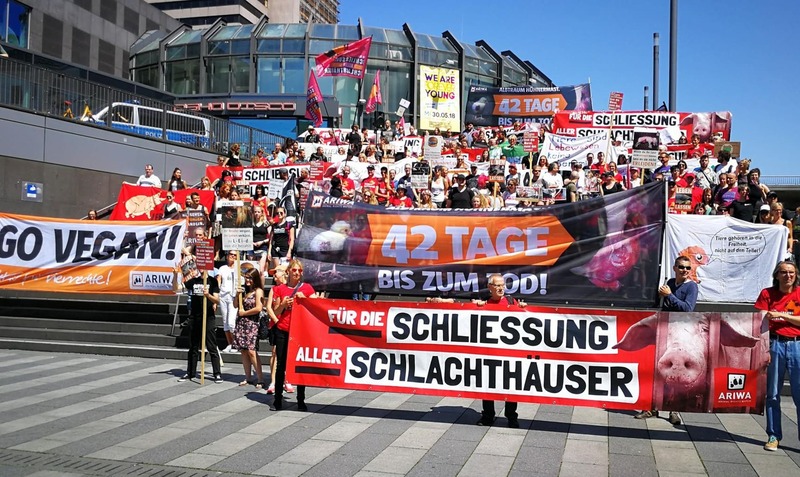 The Bielefeld march was the grand finale of 42 days of vigils which were meant to symbolize the life of a chicken. 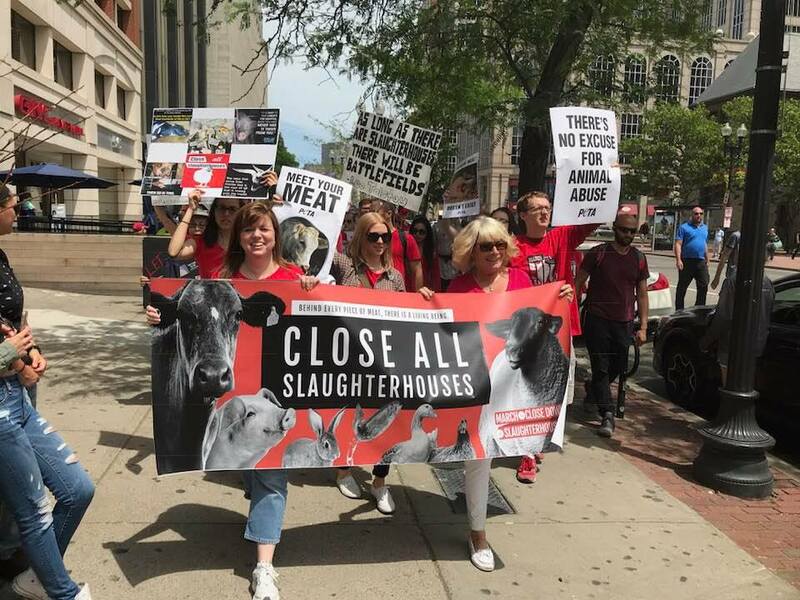 The march was organized by Animal Rights Watch for the third time, with about 250 people participating. 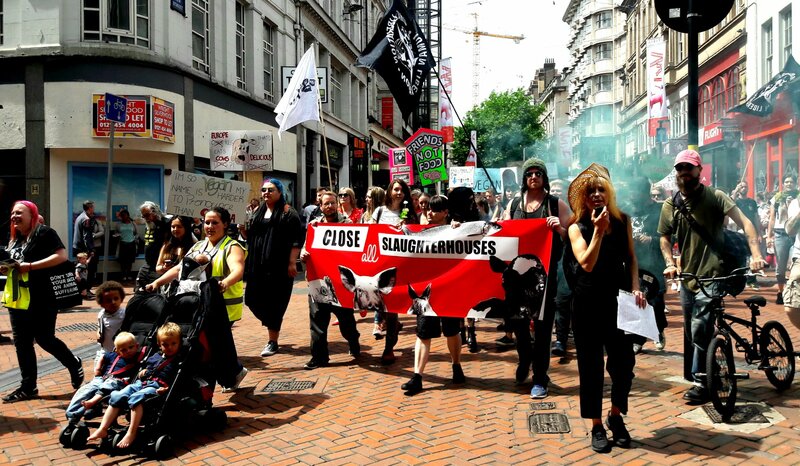 The day after the march there was a conference for the closing of all slaughterhouses for the first time. 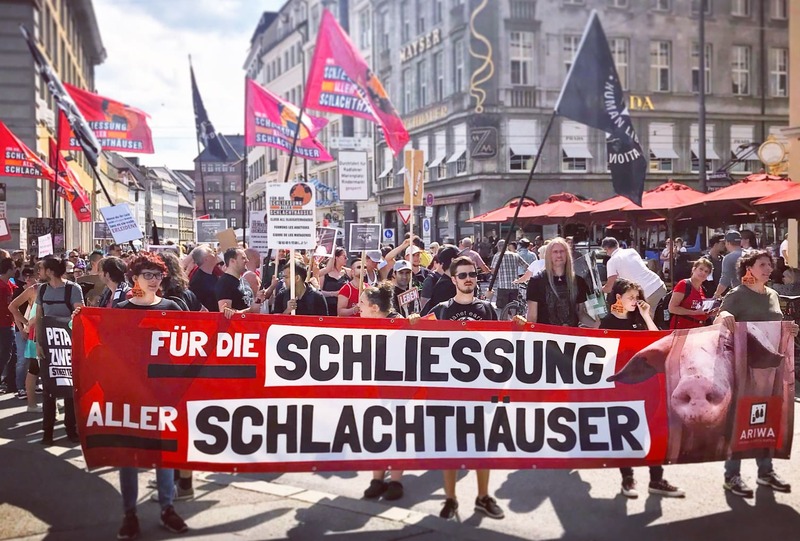 Stuttgart hostet a march to close down all slaughterhouses for the first time. 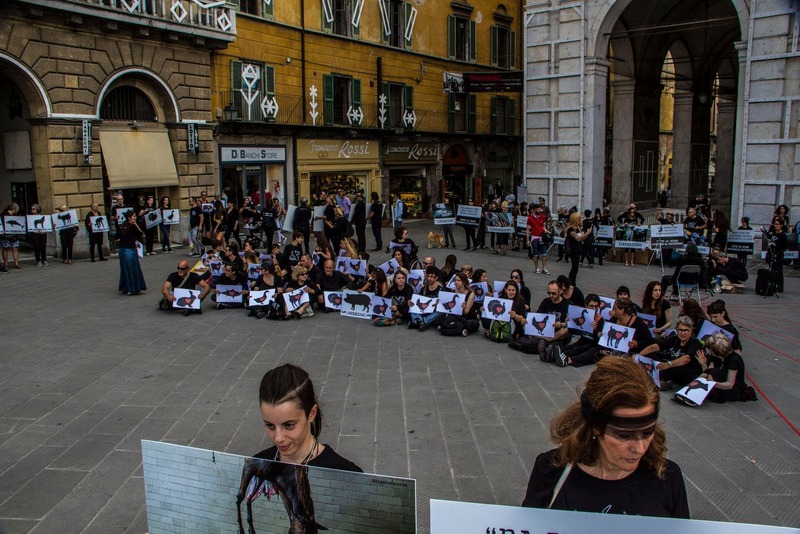 About 270 people participated in the event organized by Animal Rights Watch and more than 20 costumes activists formed a pile of "dead skinned bodies". 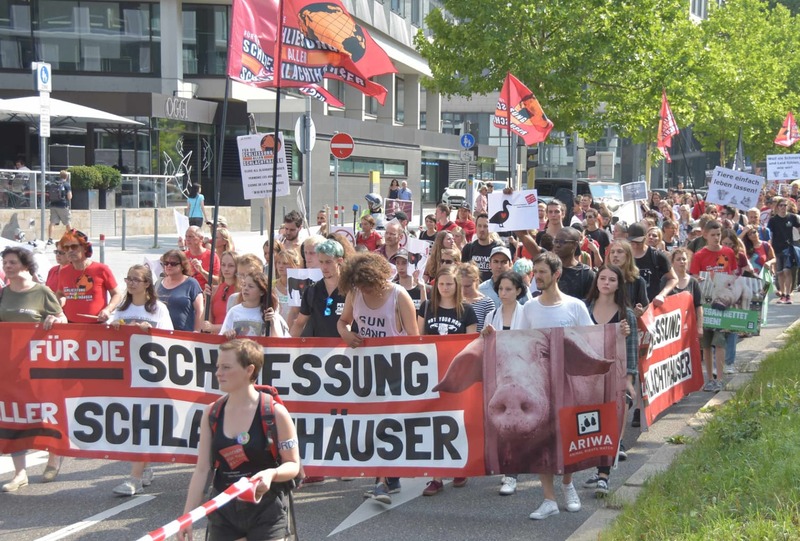 The Munich march was organized by Animal Rights Watch for the third time and gathered about 200 people. In the evening there was an additional silent line with candles and video screenings. The Sydney march was organized by LEGION Dx Sydney, The Animal Project, Save Poppy and Friends et Anonymous for the Voiceless Sydney. 500 people participated. 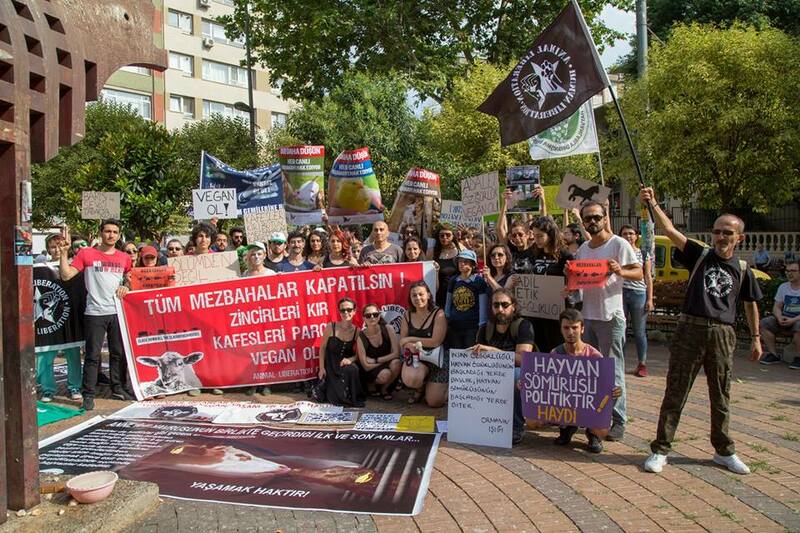 The march was organized by Kebek Animal Rights Association (KARA) and was attended by 600 participants of all ages. 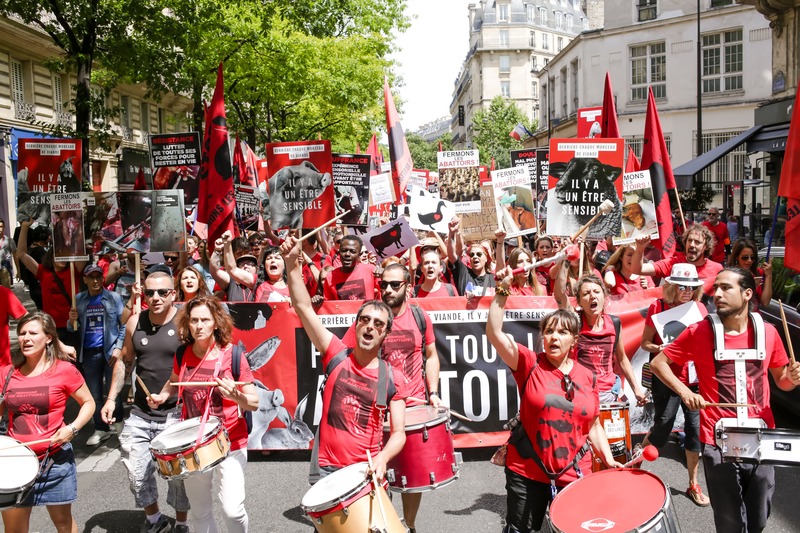 Multiple languages were used on posters and megaphone to represent the diversity of the movement in Montreal and the global importance of the event, including sign language to increase accessibility (including a promo-video in sign language). A lot of different languages and forms of expression were encouraged: art, spoken word, music, rap etc. 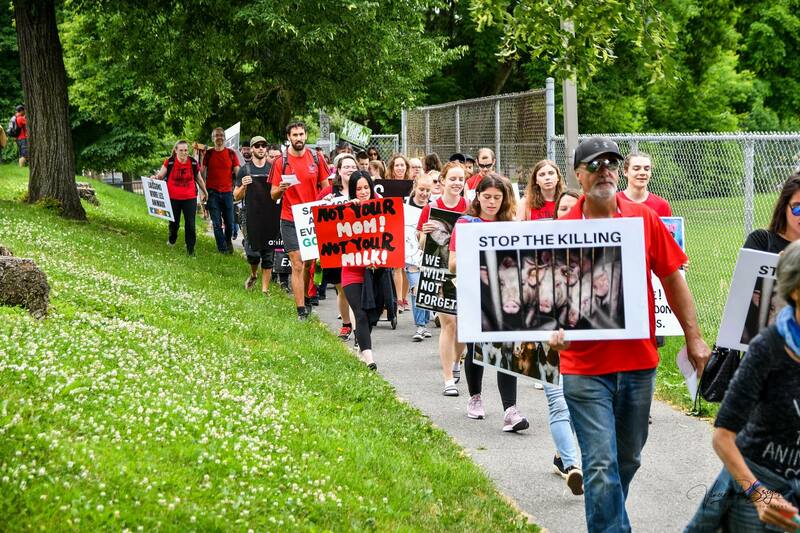 The march was organized by Ottawa March to close all slaughterhouses ans 100 people participated. 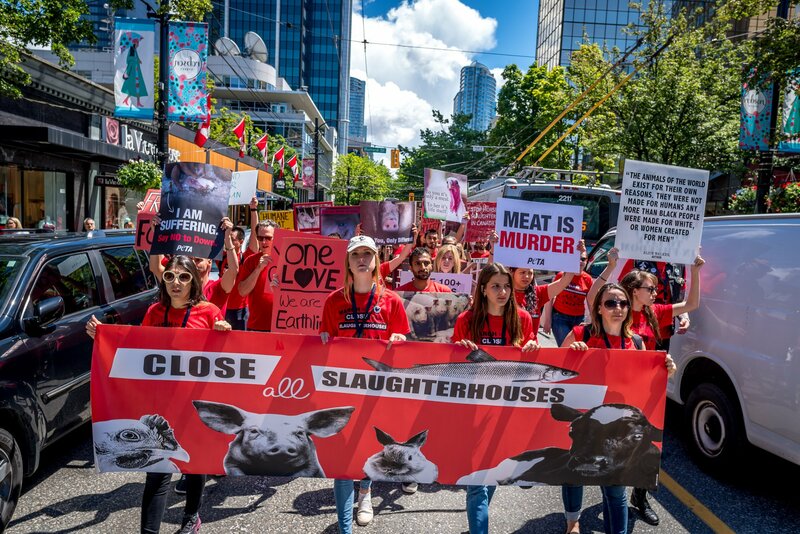 The march was organized by Vancouver March To Close All Slaughterhouses. 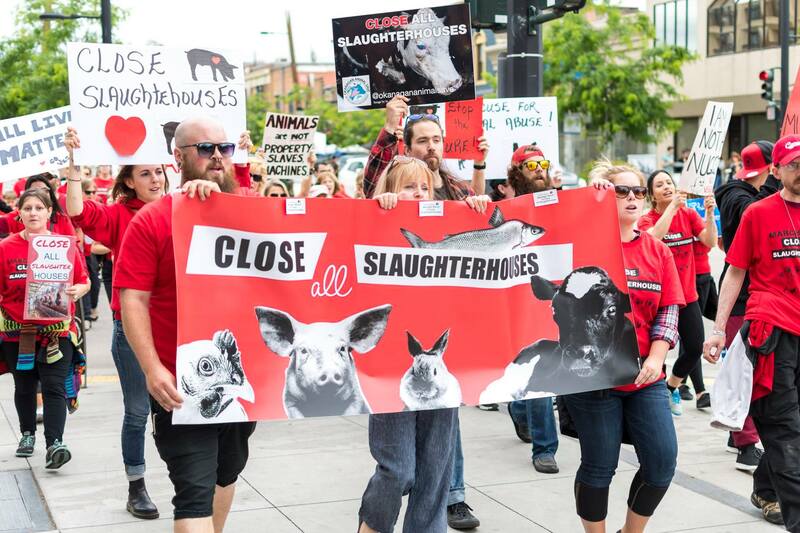 The march was organized by Okanagan March To Close All Slaughterhouses. 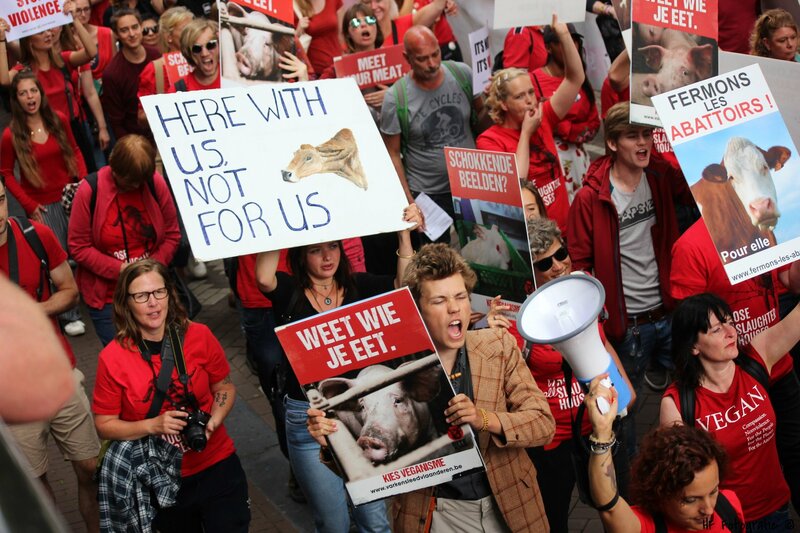 The march was organized by Bite Back and 800 people participated. 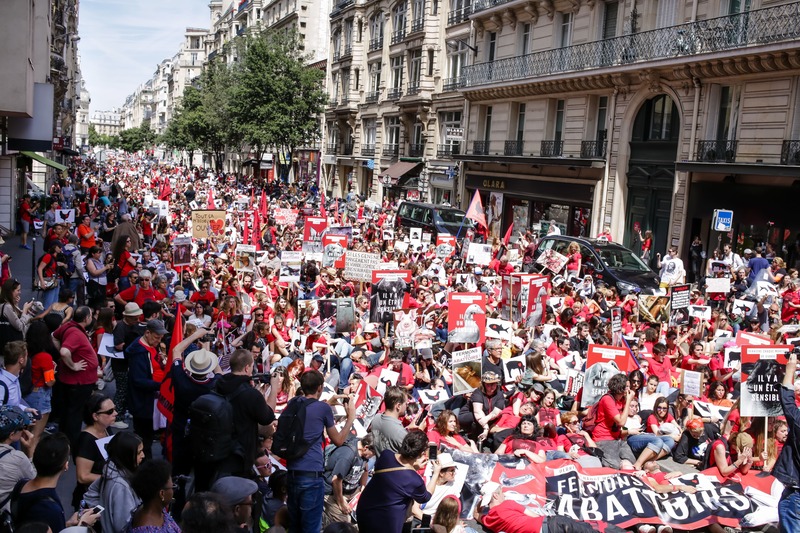 The march was organized by Bite Back and 700 people participated. 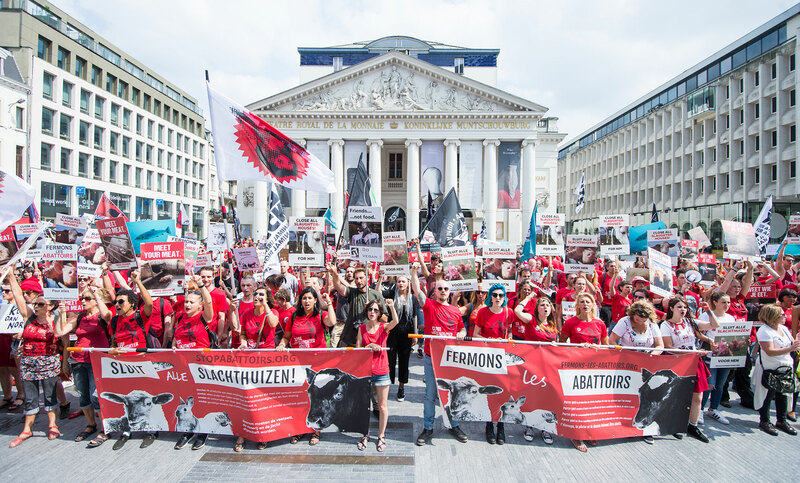 The march was organized by Animal Liberation Press Office. 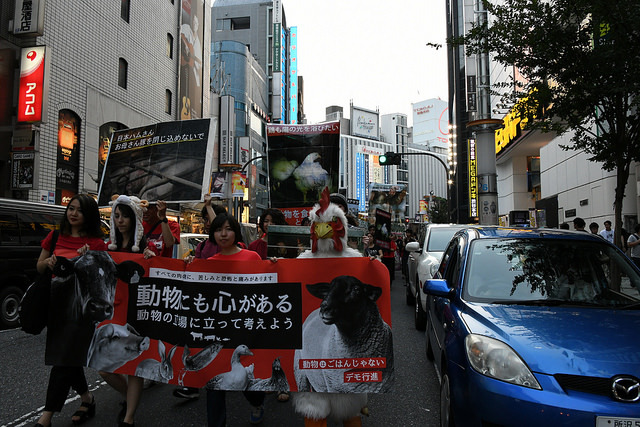 The march was organized by Animal rights center Japan and 200 people participated. 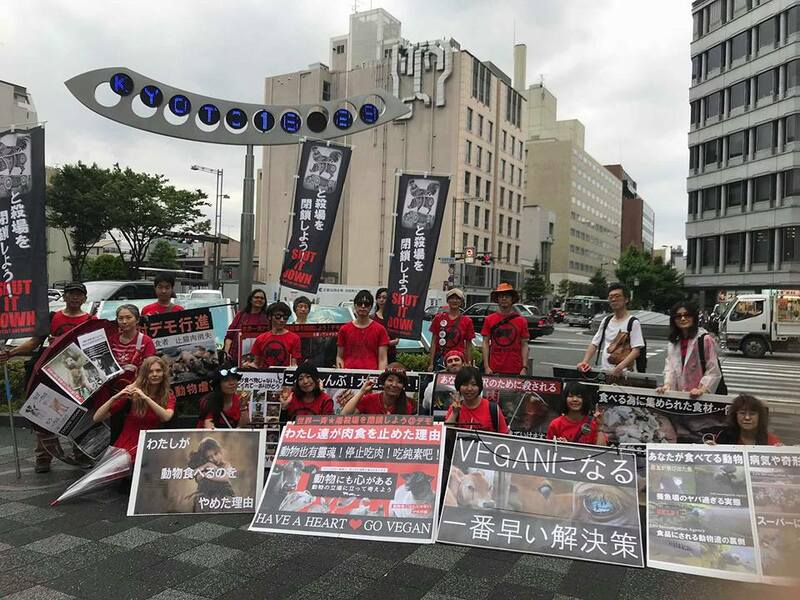 The march was organized by Animal rights center Japan. The march was organized by independant activists. 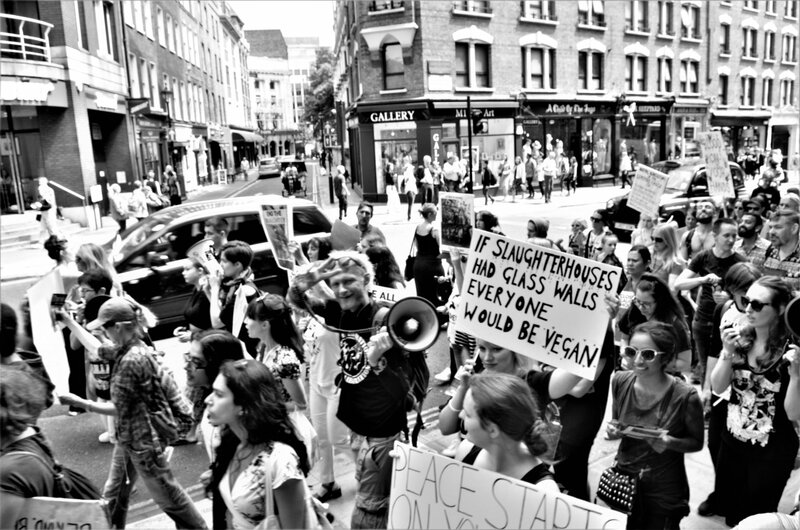 The march was organized by Go Vegan London. The march was organized by Birmingham animal action. 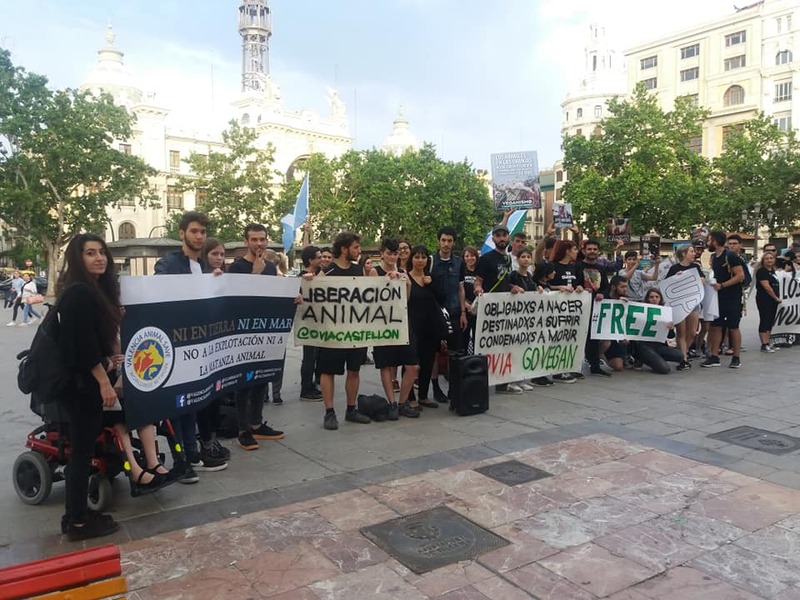 The march was organized by Cruelty Free People, 269 Life Catalunya, Barcelone Animal Save, Mataró Animal Save. 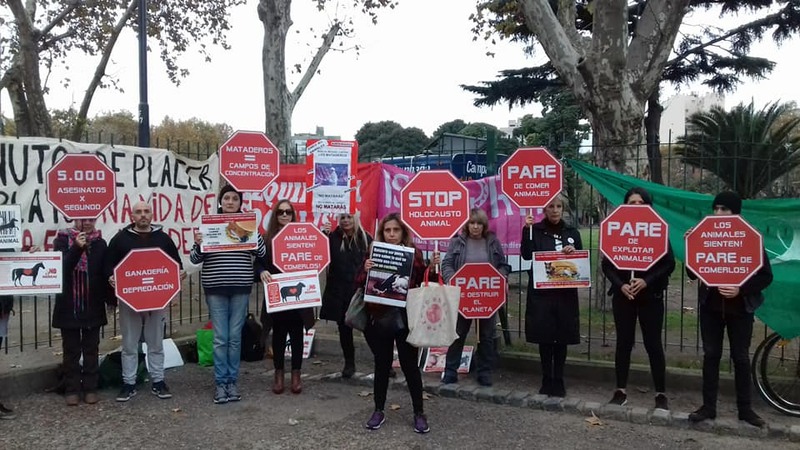 The march was organized by Valence animal save. 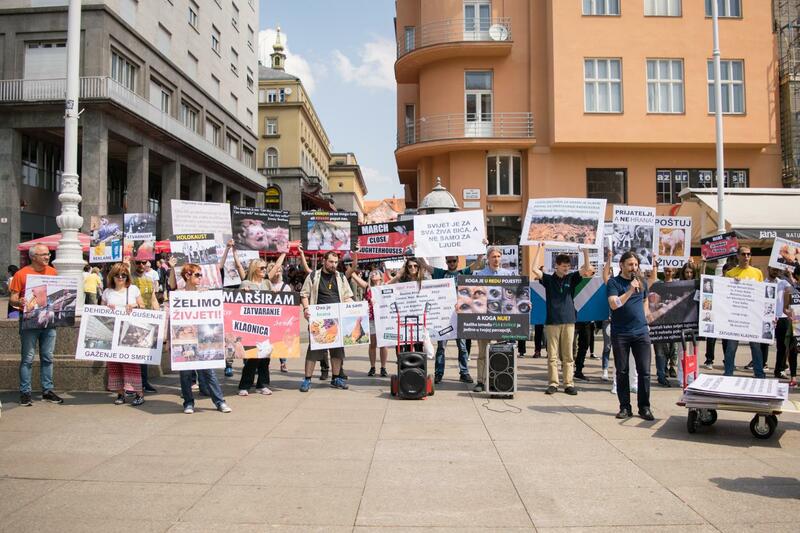 The march was organized by Prava zivotrinja. The march was organized by independant activists. 50 people marched through the center of the town, handing out leaflets and shouting slogans. 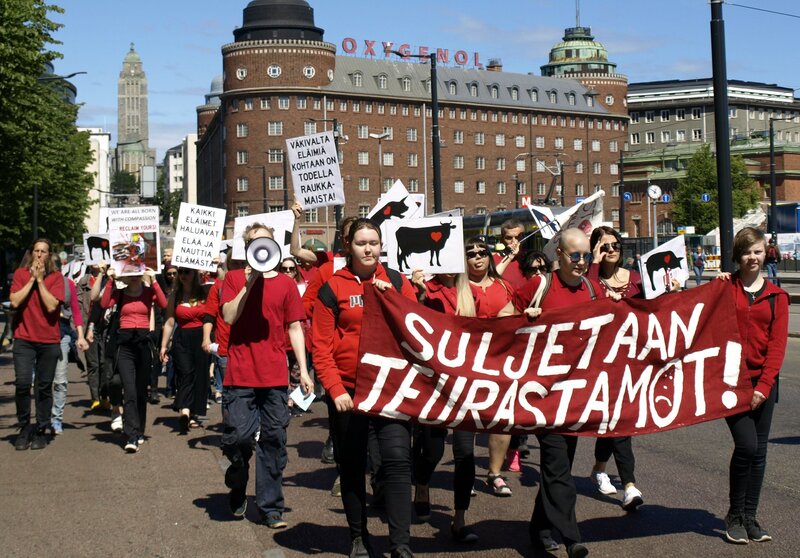 The march ended in a park where three speeches were given: by Sami Keto, specialist in environmental and animal issues, Karla Loppi from the Vegan society and Green party vegans, and Tarja Hirvonen a long time member of United Poultry Concerns. A little memorial site was built up to remember animal's who have lost their lives, with cards and flowers. Connected to the march, the previous day they organized a screening of the document "Life according to Ohad" in a central library in Helsinki. The march was organized by independant activists and 100 people participated. 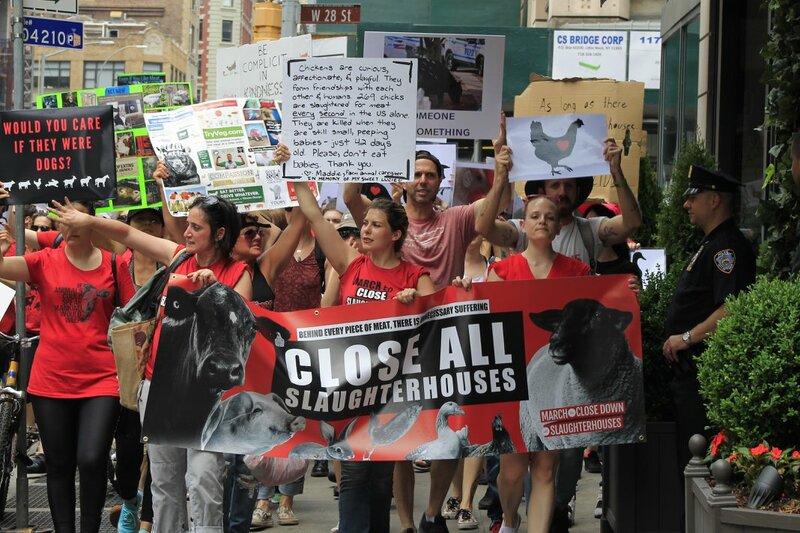 The march was organized by New York City March to Close All Slaughterhouses.